Thanks to ZigguratOfUr, you can see all the submissions that have been sent in up until now. 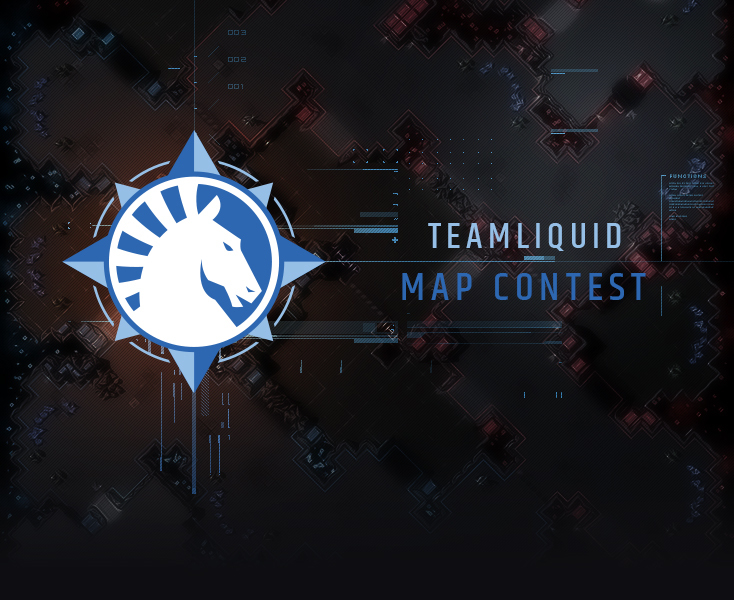 Welcome back to the Team Liquid Map Contest! And as this is the second round of 2018 we've switched it up a little. With this edition of the TLMC we've done away with the Rush and New categories. In their place, we've added two challenges and will be using those categories to keep the contest fresh moving forward. We understand that there is interest from the community to pay tribute to TotalBiscuit when designing these maps for the upcoming ladder season. In the spirit of Play Nice, Play Fair, we ask that map makers refrain from including nods to John in their map as to not have any influence on the voting portion of the contest. We want to make sure that players are voting for maps based on their gameplay design and aesthetic without being influenced by any other factors. With that said, we are pleased to share that we're working on our own tribute to John in StarCraft II. We'll have more information to share once we've settled all of the details. Good luck to the map makers! Maps can be submitted to one category only. Maps cannot be submitted to multiple categories. No custom textures or Force Fields. Rocks and collapsible structures use default HP values and cannot be modified. Individual mineral node and vespene geysers have default resource amounts and cannot be modified. No custom data on maps. Judges may reassign a map to a more appropriate category. When using air pathing blockers, avoid setting up zones that trap air units within them. When deciding to utilize a gold base, make sure there are some sort of risk associated with them. Otherwise, gold minerals bases with low risk tend to usually favor Zerg over the other races. Map makers can adjust the number of mineral node or vespene geysers at the third or later base locations, but cannot adjust the values of each individual resource node. Be careful when adjusting the number of resource nodes at bases because it could impact balance between races and/or matchups. During the iteration phase of the competition, small changes are often times better than large radical changes that dramatically alter the map’s direction. The average rush distance and playable map dimensions are guidelines and not strict restrictions. For example, large maps that play out aggressively or small maps that promote long games will still be considered. This season we are giving mappers more opportunity to get feedback from judges with the intent to allow for potential issues to be ironed out prior to judging. All maps that are submitted on or before July 9th (Pacific Time) will be reviewed by members of the judging panel and feedback provided after a week. Please keep in mind that maps with positive feedback or have had issues fixed as a result of this review process are not guaranteed to be selected for the Top 16 as this contest is very competitive. Guidelines: Medium sized map. Players tend to have more flexibility on these maps to open with a wider variety of strategies and/or builds. Catalyst’s playable area is 136x144=19,584. Overgrowth’s playable area is 120x144=17,280. Coda’s playable area is 138x144=19,872. Guidelines: A map that favors defensive play and encourages players to reach end game unit compositions. Odyssey’s playable area is 152x156=23,712. Blackpink’s playable area is 148x140=20,720. Ascension to Aiur playable area is 160x132=21,120. Guidelines: Design a map where each player’s starting location and/or natural expansion are close by air but further by ground. The map should also favor aggression from both players. Judges' Picks can come from any category and will consist of maps that the judges feel belong in the top 16. As we don't except all the categories to be uniform in quality, this helps to ensure that the most deserving maps, regardless of category submitted, make it to the next round. All maps submitted on or before July 9th will be reviewed by members of the judging panel and feedback will be provided to mappers by July 16th. In the event that you submit a map multiple times because of revision the judging panel will use the most recently submitted map file for judging. Once the maps have been submitted they will be checked for quality and the remaining maps will be passed to representatives from the Team Liquid Strategy team and selected professional players/community figures for judging. If you are a professional player and would be interested in helping out, PM us. Together, the judges will trim down all submissions to a final 16 that will be used in the next stages of the contest. Next we'll have a tournament stage where professional players will compete on these experimental maps for prize money. Once again, thanks to Blizzard for providing the funding for this event. Details will be disclosed at a later date. The iteration phase is one we introduced in TLMC7 and in general it's been a big hit for everyone. In this phase, mappers will be able to submit clean final versions of their maps for consideration by Blizzard and the community. The public will then vote on the final versions of these maps. Note that public voting only determines the final placing of these maps, that is how much money each mapper wins. It does not directly affect which maps Blizzard will chose to appear in the next season of ladder. However, this is your chance to make your voice heard about which maps YOU want to be on the ladder. We are also keeping on the additional prizing for finalists. Each finalists will again receive $100 for each map they've submitted to the contest. In addition, there will also be more prizing awarded to mappers who have maps that finish in the top 5. And as always, all sixteen finalists will receive a Community Commander Portrait. After the winners are announced, Blizzard will take into consideration all sixteen maps for the next season of ladder and WCS. After a rigorous QA session, Blizzard will announce which maps will be available for you to play on at home closer to the start of the next ladder season. Mappers will be limited to six map submissions each with a limit on two maps per category. For example, you may submit two maps in two categories and one in the other two or two maps in three categories and none to the fourth. Please PM your map file(s) to TL Map Contest with the following format before Tuesday, Jul 24 4:59am GMT (GMT+00:00). Please title your PMs with the name of the map and keep all submissions to one map per PM. We'll once again be be asking mappers to submit more detailed information about their maps to ensure neither the judges nor the community misses any key features. A picture of your map. Please submit your maps with a standard 90° top down overview' do not use any angled or tilted images. Please mark start locations and describe any starting location constraints. The map category you wish to enter with this map. A description of the map. Why the map fits the category you selected. List and describe any distinctive features of the map. Point out any alternate resource or rock usage on the map. Describe why you chose to use non-standard numbers. Entries not in this format may be excluded from consideration. Please do not send questions to the 'TL Map Contest' account; contact TLMC organizer The_Templar instead. Q: Do I need to send my map file, or will an image or a link to my map on Battle.net be enough? We want the map file for this contest, so a link to Battle.net is not sufficient. There will be a huge number of maps to choose from, so we will need to open many of them up in order to check for details that we can't find otherwise. To send your maps, upload them to a file hosting service such as Mediafire or Dropbox and include the link in your entry. Q: How do I attached a map file or image to a PM? The TeamLiquid PM system does not support attachments. Instead, use an external image/file hoster such as Mediafire, Dropbox or Google drive for map files or Imgur for image files. Please sent those links along with your submission. Q: I want to enter a team map/FFA map into the contest. The Team Liquid Map Contest has traditionally allowed team play maps to be entered and evaluated separately from 1v1 maps, and some of these submissions did eventually reach the ladder map pool. Unfortunately, this season we will not be considering team play maps submitted to the contest. If you're really passionate about making high quality team play maps then we strongly encourage you to post your work in our Maps and Custom Games forum. Q: Will the winning map automatically be included in WCS? No. A list of the top maps will be submitted to Blizzard for consideration for use in WCS/ladder. Q: How crazy can my maps be? Maps need to be ladder appropriate. This means that features requiring specialist knowledge (rising lava, geysers used to block ramps, etc.) will not be accepted. If your map passes that test and complies with the guidelines above then your map is acceptable! Of course, if you are concerned that your map may not be suitable for ladder then please PM The_Templar and we will tell you whether or not it is appropriate. Q: I’m interested in the contest, but I’m horrible at map making. What can I do to support the mappers? Post in their map threads and give them support, encouragement and replays on their maps! Giving your favorite mapper support will be much appreciated by the mapper. Replays are especially valuable as it helps the mapper align their design goals with the map with the reality of how people play their map. If you have any unanswered questions please do not hesitate to ask them below or PM The_Templar who will be happy to answer them. Best of luck in the competition. It still says there will be picked 3 rush and new maps. Assuming it's the two challenges instead. Thanks this has been fixed. Guidelines: Design a map that favors aggression from both players and the start and/or natural base locations are close by air but far by ground. Scrap Station with neutral turrets ? That's an ambitious crossover to take on both experimental categories at the same time. What you have to do is reskin New Gettysburg, remove the air blockers and add renegade turrets instead. Maybe rotate the map too so it's not as obvious. Already? These contests come up fast. Good luck to those taking apart. These challenges are really narrow--the 'rush' and 'new' categories which admittedly had problems were scrapped for two challenges which are essentially "this specific type of rush map" and "new maps that should focus on this gimmick". Also what should maps that formerly be submitted as 'New' (e.g Neon Violet Square) be submitted as? "Standard" or "Macro" depending on the size I assume? 1. In the past the 'new' and 'rush' categories have had entries of lower quality than the other categories. We think that a contributing factor to this is the lack of direction for these map archetypes. We hope that the challenge categories remedy this by being more explicit in expectations. There's also an argument to be made about how adding limitations/restrictions can often bring out the best work from people but I guess we'll wait and see if that is the case! 2. Formerly 'new' maps should be submitted to Standard or Macro depending on whichever archetype they fit best. Although some of the more extreme 'new' maps would probably have little chance of being selected for top 16 within the standard or macro archetypes. I'd argue that the "High Yield" category from TLMC7 and the "Alternate Resource" category from TLMC8 were basically challenges, and those weren't exactly successes, but I guess we'll see. There is a public mapping discord I run for those interested in discussing and looking for feedback for their work. Oh man, glad TLMC is back! Good luck to all mappers! As always, once I finish with everything I'll post all my submissions with a few art pictures as well as I always tend to do. Good luck everyone, and I hope we can get some good maps for the challenges! I will for sure try to submit something for the 2nd challenge it seems really interesting to try and figure out something that could work without it being annoying.